Last weekend Rocco and I attended BarkWorld Expo where we learned about all kinds of great products. Rocco was obsessed with the Kuddly booth, pictured above, and for good reason. In addition to the lure of the treats on the table, we both love the idea of having access to a veterinarian anytime and anywhere. 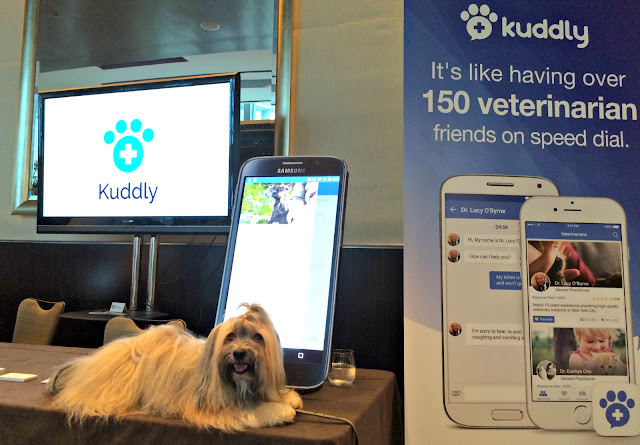 You can learn more about the new app at Kuddly, where you can chat with a vet anytime about your pet's health concerns.